KexWorks | Facebook Marketing? Think Facebook Sales! Facebook Marketing? Think Facebook Sales! 21 Jul Facebook Marketing? Think Facebook Sales! Facebook marketing is nothing new. We all know it’s a great way to promote your brand, generate traffic and leads. But have you ever thought you could actually make sales directly via Facebook? You might be sceptical, but the case of Polkadot Alley, and ecommerce store that is now making $1.5 million a year in Facebook sales only, proves the model works. 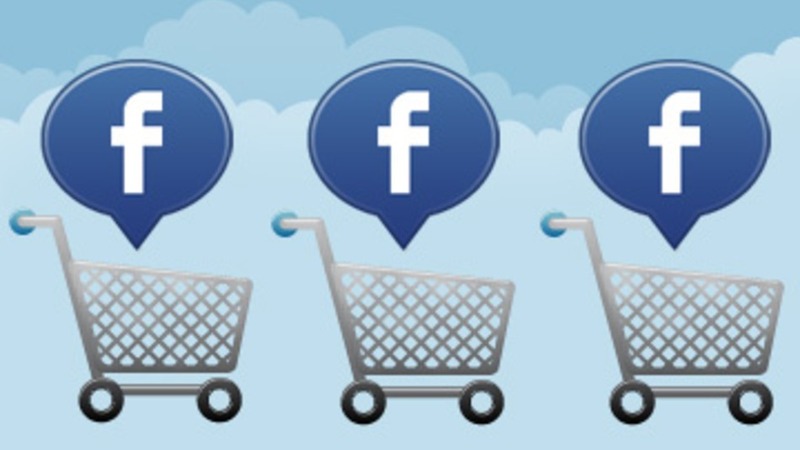 Of course, using Facebook as an e-store is not for every business, but for many companies it can become an incredibly profitable sales channel. Following these tips, you can try and repeat the success Polkadot Alley had. First, setting up a Facebook page is absolutely free, and even though you will have to invest into advertizing anyway, it is still much more affordable than building an e-store from scratch. Second, the competition in the ecommerce industry is pretty severe, and it will take months and lots of work for your website to start ranking well and competing with others. On Facebook, it’s easier to get your business noticed, as well as to build more personalized relations with your customers. Third, the power of Facebook is in its social chain effect: when your friends and first customers start liking and sharing your products, you will automatically reach hundreds of people in their networks. How to Sell via Facebook? On Facebook, you can showcase the products you have in stock by posting their photos with the details and pricing in the descriptions. Your customers can then leave their orders in the comments or send you private messages to post an order. You can’t have a payment processing system on Facebook, so make sure you ask your users to leave their emails for invoicing and shipment purposes. To start making some sales, you need a sufficient number of followers, which is not acquired overnight. It will take several months to develop the following, using various methods like those below. Spreading the word. Ask your friends and the first customers you have to share your page and refer their friends to you. Advertising. This is going to be your main source of new followers for some time. The good thing about Facebook ads is that they let you target exactly the users you need. For example, if you are offering skin care products for women, you can make your ad visible only to women over 18 and located in your area. Being active in communities. If there are communities your target customers might be interested in, be sure to join them and get noticed. Don’t self-promote, though: instead, share valuable information and participate in discussions. It doesn’t work for everyone. Beware that young women are the major share of Facebook users, so if you target a user group that is not really active on Facebook, your efforts might fall flat. Your possibilities are limited. You can’t arrange your products and content in the most user-friendly way, like you would on your website, so as products start piling up, it might be inconvenient for the customers. Payments have to be processed by hand. When you start receiving many orders, this might become really challenging. Your competitors see your customers, which means they can reach them as easily as you did once. Selling via Facebook has its disadvantages and is surely not for everyone, but with the 1,000 stores operating on Facebook at the moment, it’s surely a trend to make use of! Have you ever tried selling your products via Facebook? What are your concerns about this way of making sales? Feel free to reply in the comments.